Use this Cambro R1000LCD110 black riser to elevate your existing Cambro insulated beverage dispenser! 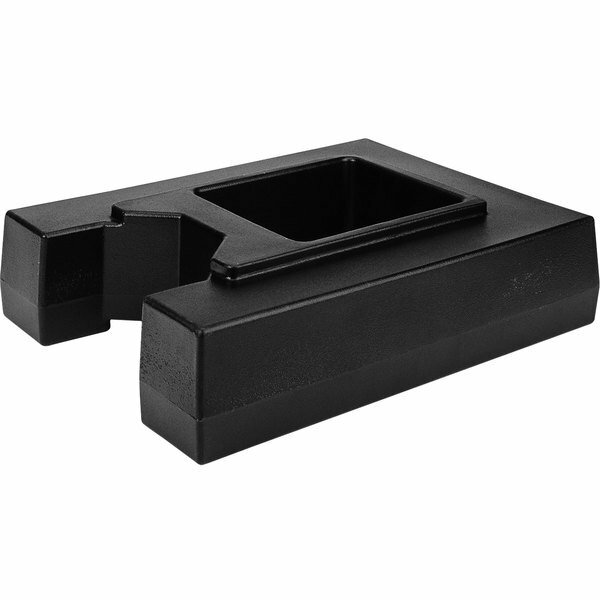 Featuring an attractive, black color, this riser can easily be placed underneath your unit to raise it 4 1/2", adding ample clearance for simple drink dispensing. Plus, the top boasts ridges that help keep your dispenser in place to prevent unwanted movement. The reasons this was an easy choice for us....The riser can easily be placed underneath your unit and it to raise it 4 1/2", adding a clearance for drink dispensing. the top has ridges that help keep your dispenser in place to prevent unwanted movement or shifting as they are used by customers. The product is as specified and the quality and durability of the item are great for everyday use.